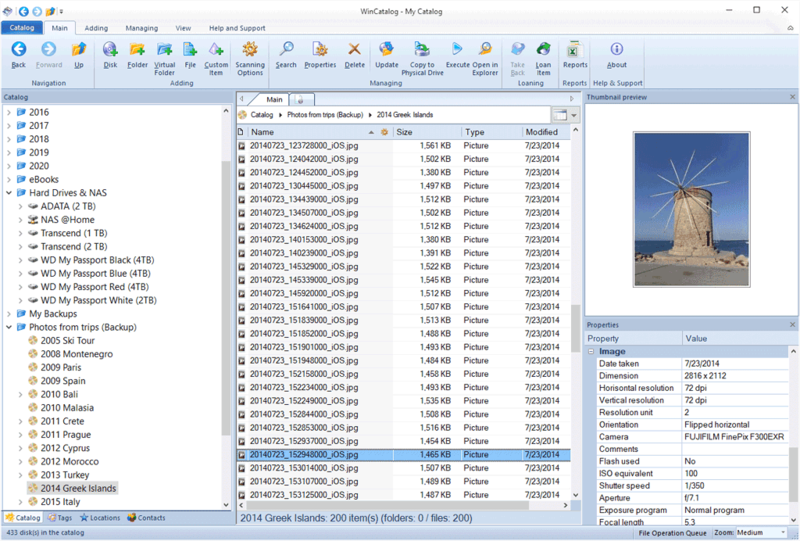 Create a catalogue of all your disks, files, and folders: automatically grab ID3 and Exif tags, picture thumbnails, expand archives, ISO files, and more. No typing needed! Find files in seconds no matter how big your catalogue is. Let WinCatalog scan your disks just once and it will remember all the details! 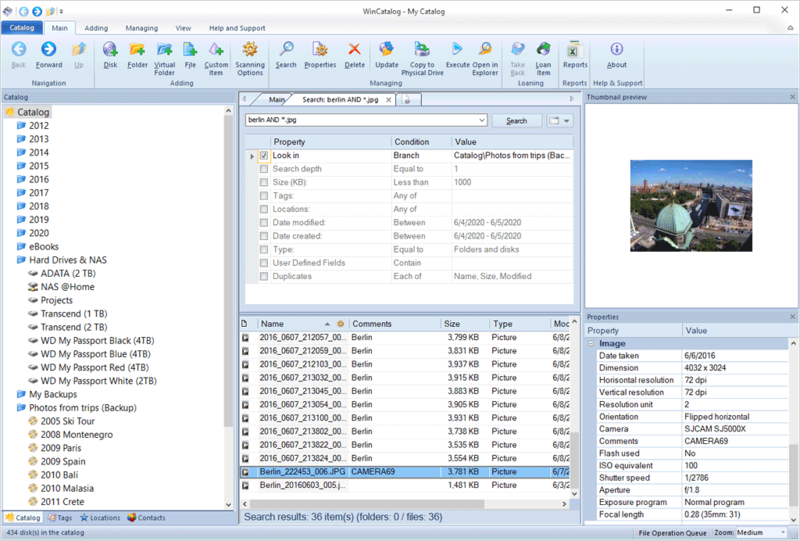 Manage your disk catalogue by using categories or virtual folders. Create and assign tags. Browse using the grid or thumbnails view modes. Find exactly what you want by searching using natural search queries, wildcards, or logical search operators.